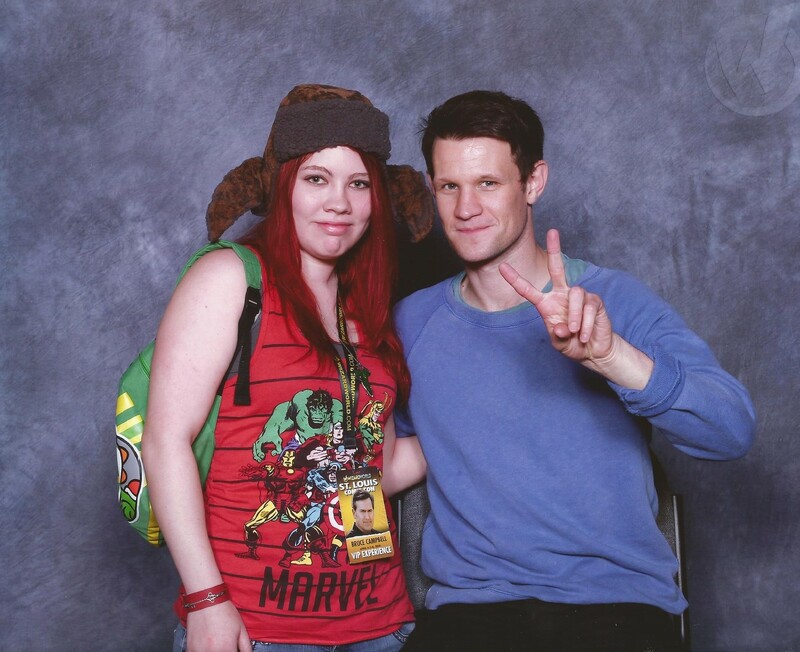 My best friend, Brittaney, with Matt Smith from Doctor Who. 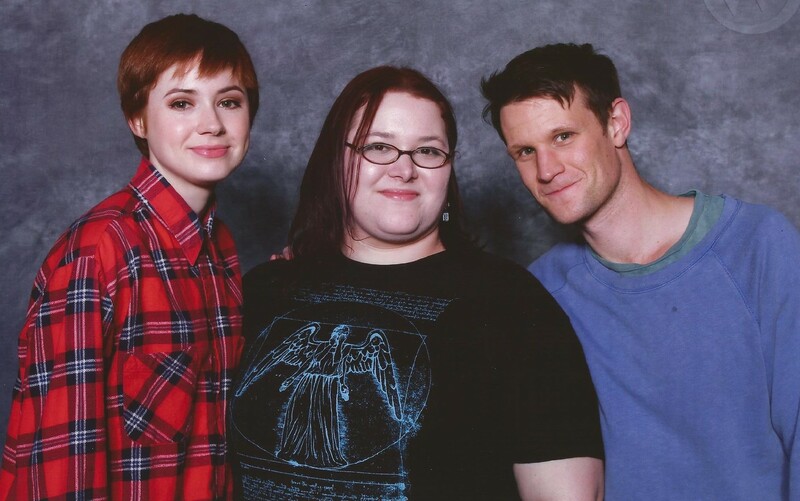 Myself with Matt Smith and Karen Gillan from Doctor Who. 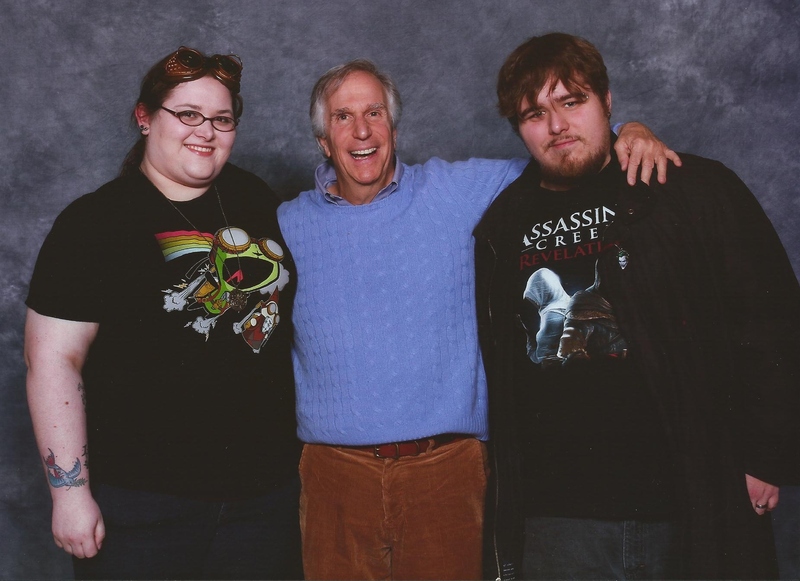 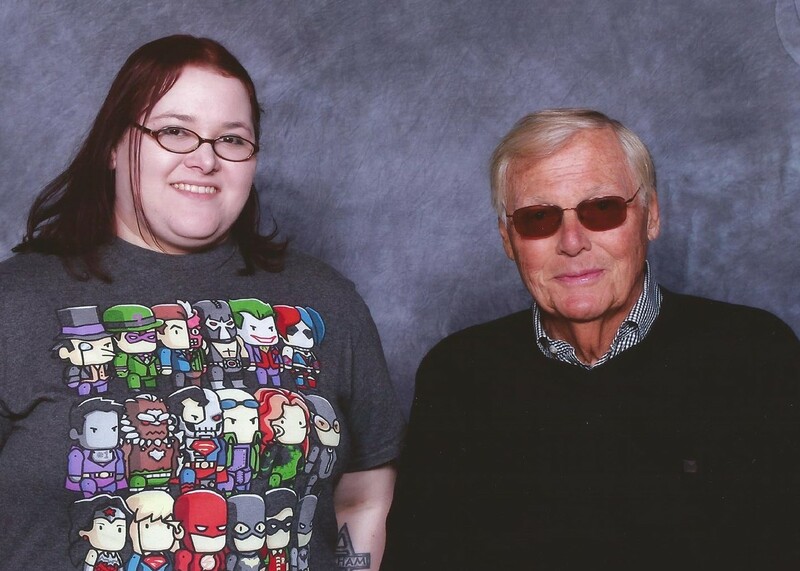 Horrible picture of myself and Adam West. 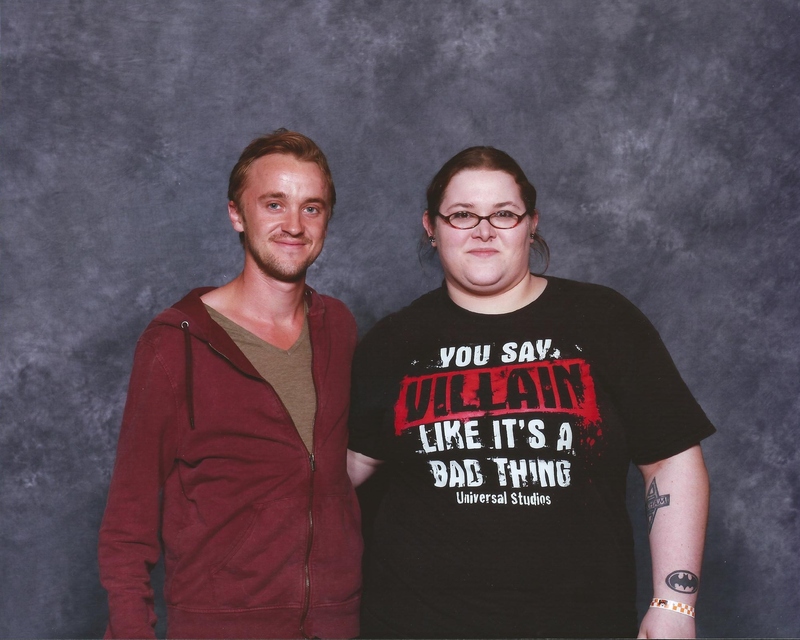 I was too excited to not derp-face it seems. 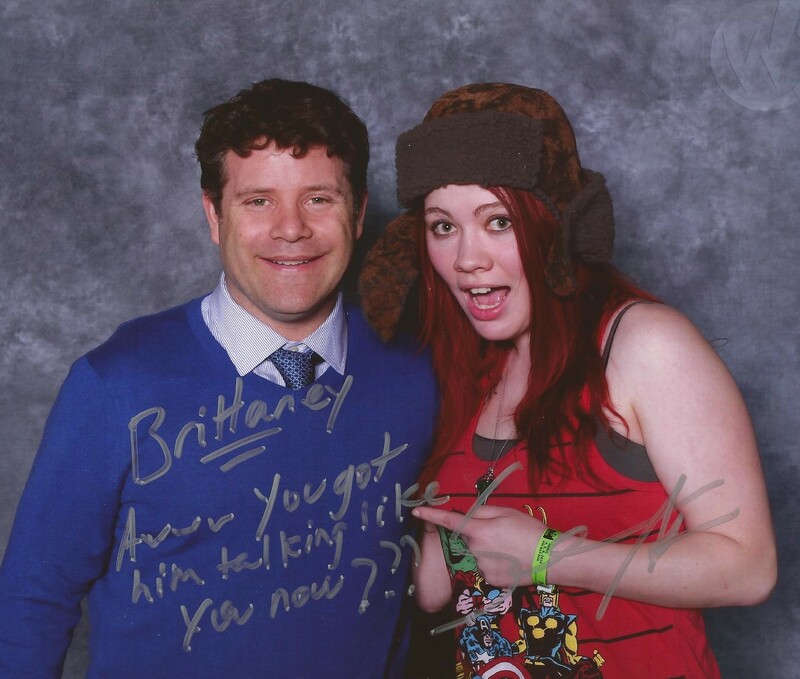 Brittaney geeking out over Sean Astin. 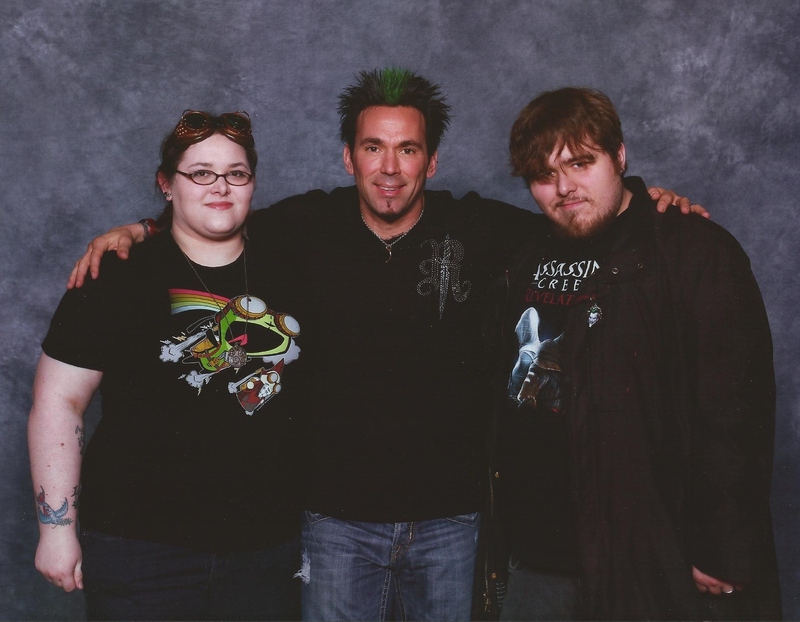 Myself, Sean Patrick Flaney, and Brittaney. 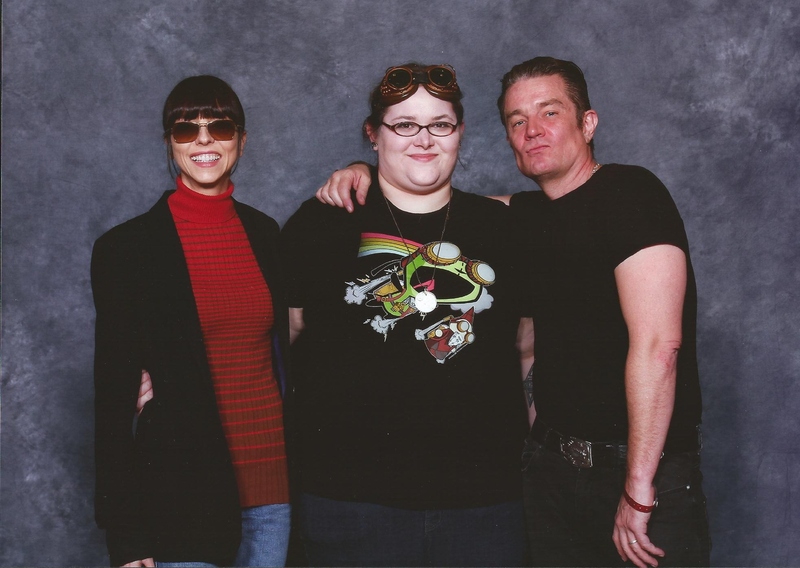 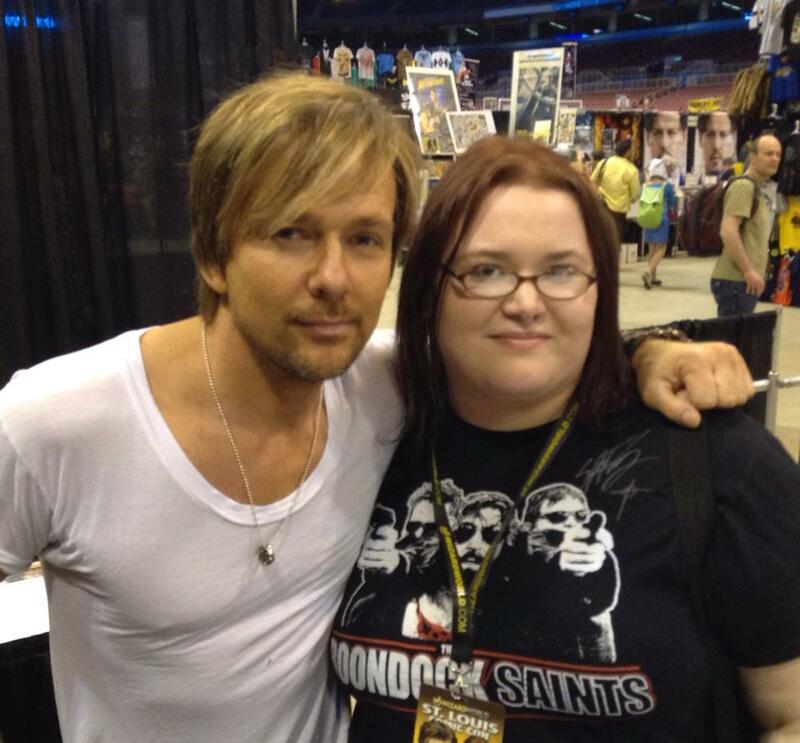 Sean Patrick Flanery REMEMBERS ME FROM WHEN WE MET. 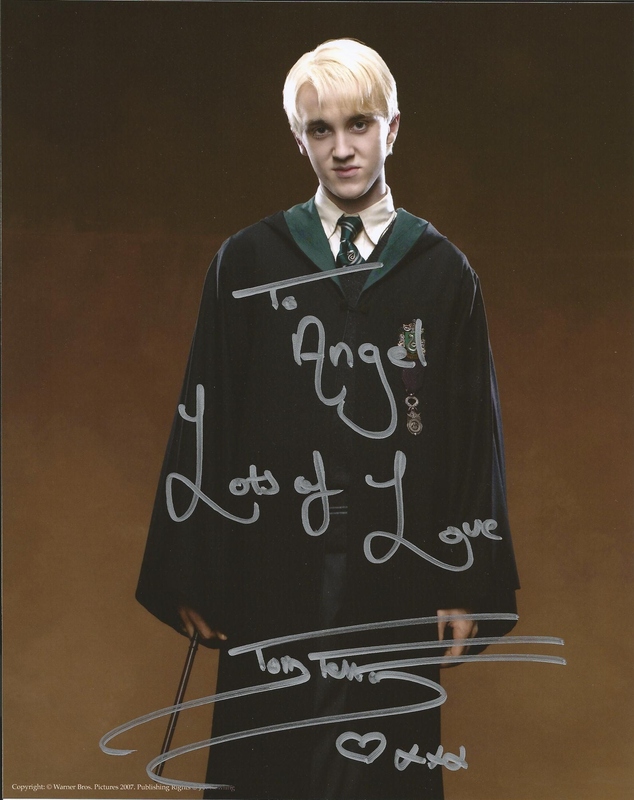 He’s such a huge inspiration to me, and a gal can’t deny he’s rather easy on the eyes. 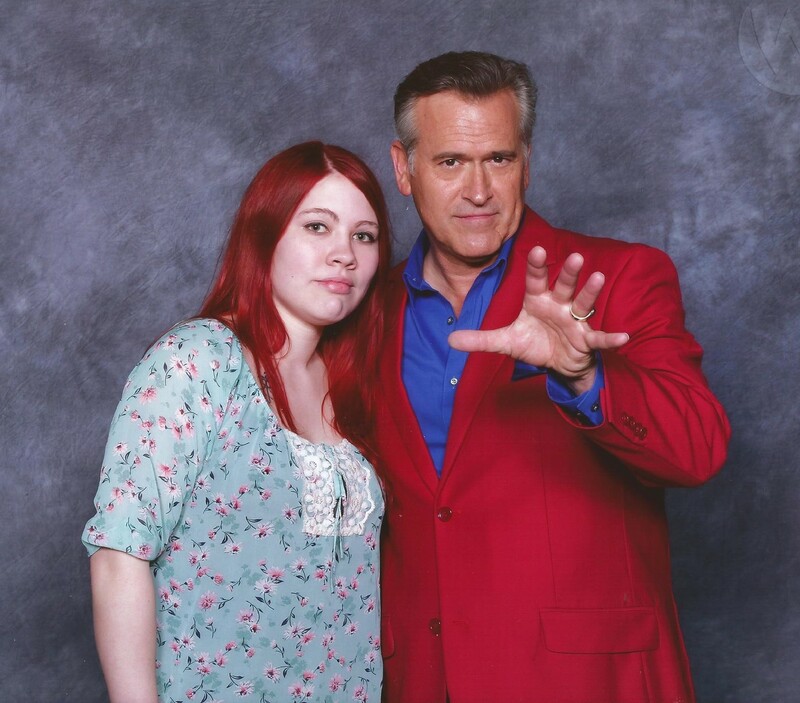 Seeing him is always wonderful. 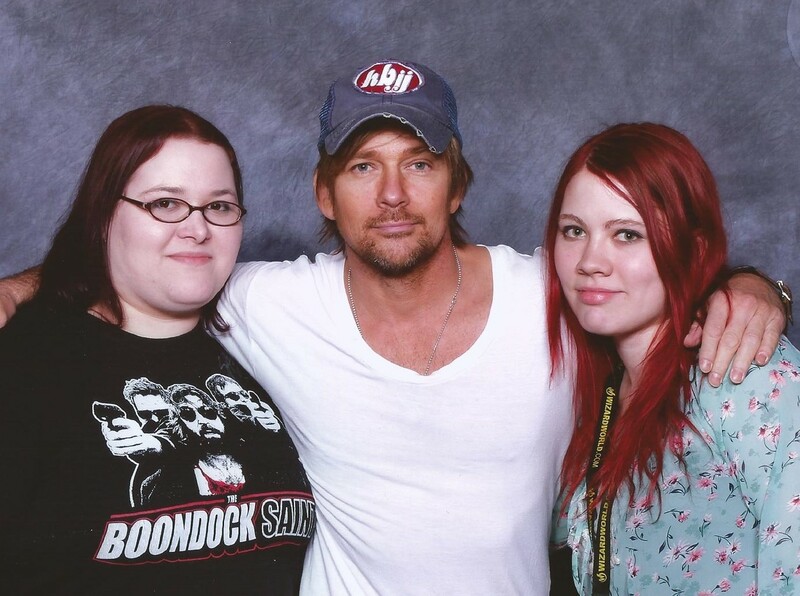 Also, he ruined my favorite Boondock Saints shirt for wearing, since he signed it lol. 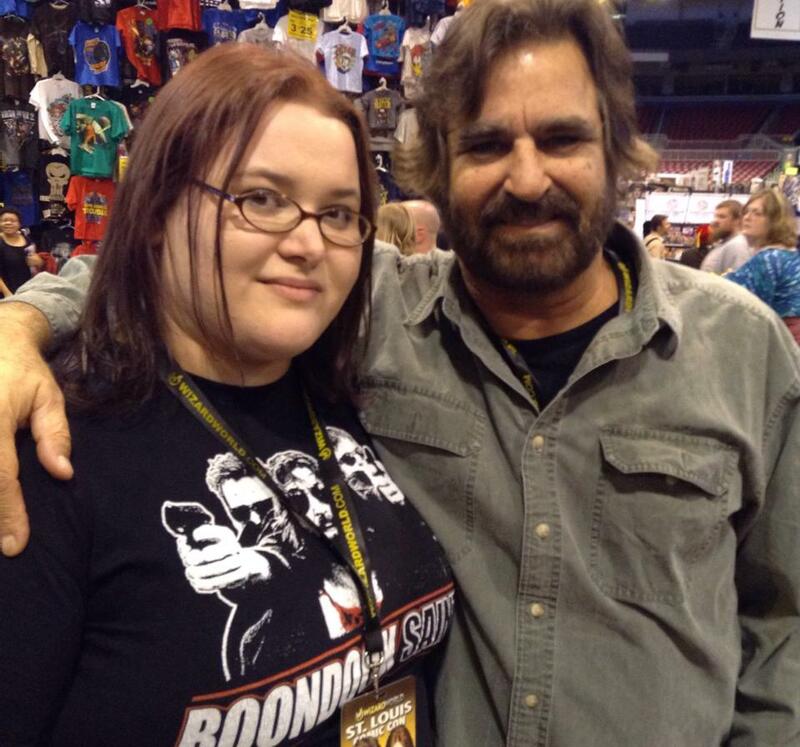 David Della Rocco… Can’t deny how much I love this man, either. 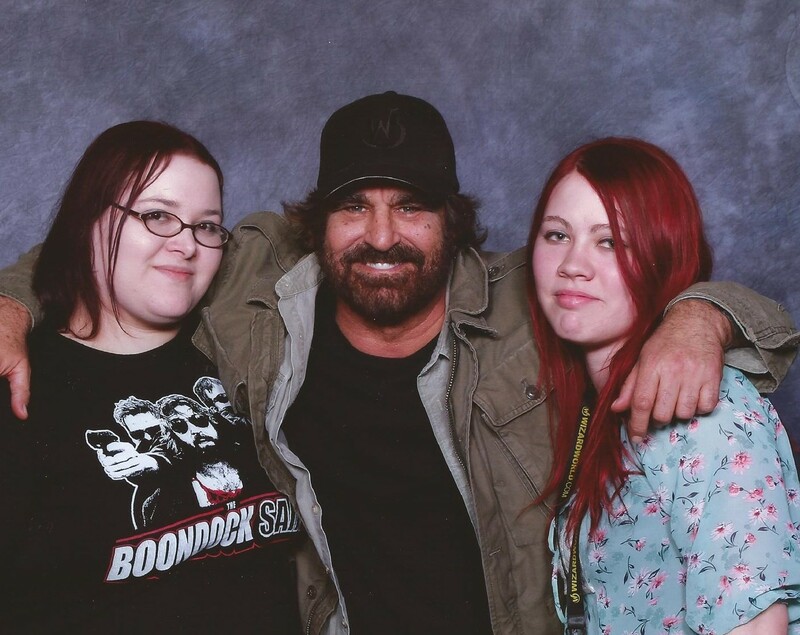 Him and Sean are two of my favorite people I’ve ever had the privilege of meeting. 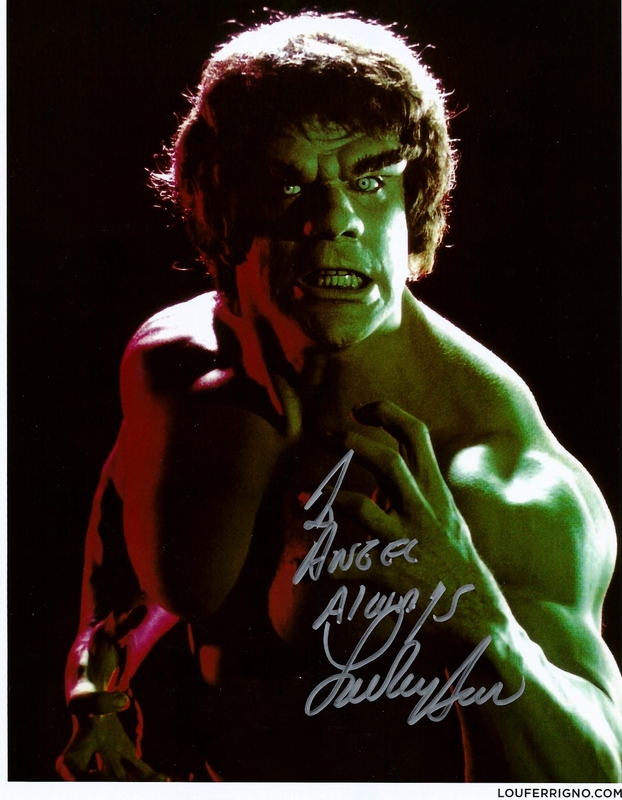 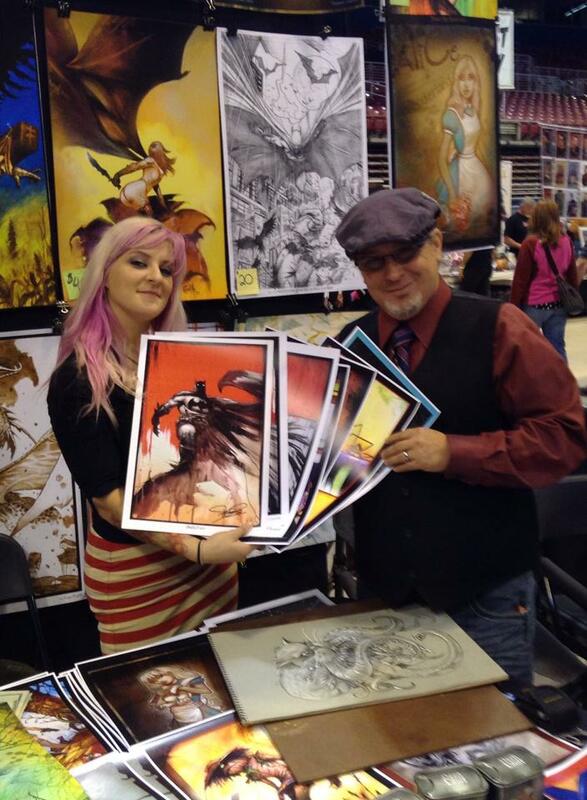 Can’t forget the AMAZINGNESS which is Sammy and her husband, artist Tommy Castillo – who donated SEVEN SIGNED PRINTS of his art to my Legends of the Knight charity screening for MDA. 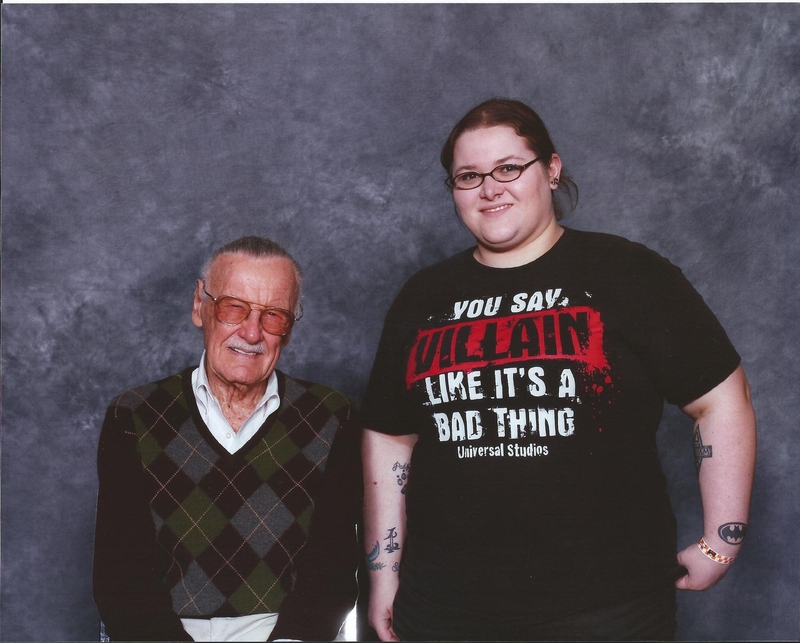 I collect his art, so this was a huge deal to me. 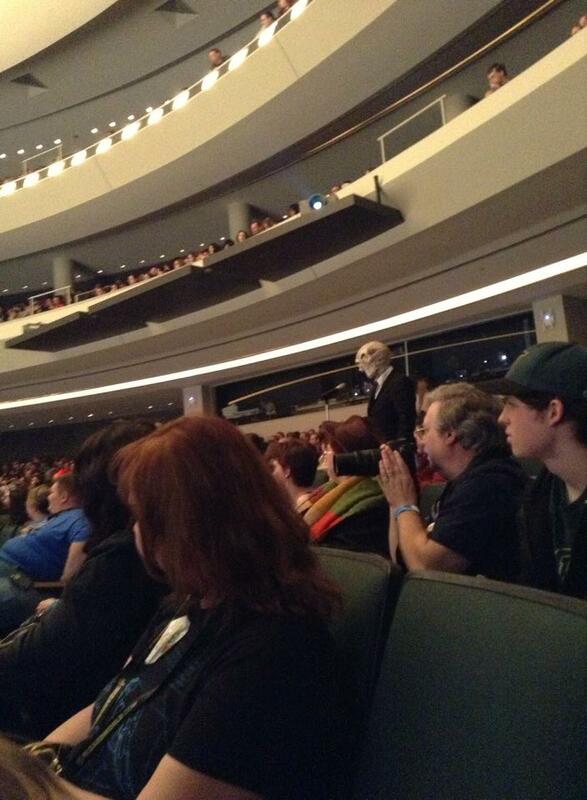 It took everything inside of me not to cry on the spot.